Science and experiments are things my kids LOVE! And, the the messier and wackier the better. 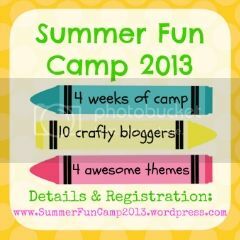 So, I was super excited when I was given the opportunity to be a camp counselor at “Summer Camp Fun 2013” during Weird Science Week! One of the “science experiments” my kids all enjoy is actually a great beginning chemistry experiment: making flubber! It’s super easy to do and you probably have the two key ingredients in your home already, especially if you make your own laundry detergent. Place the hot water in a bowl along with the borax. In another bowl measure out the glue and in a measuirng cup measure out the 3/4 cup cold water. Mix the cold water with the glue mixture until completely combined. Stir the borax/hot water solution until the borax is completely dissolved. Pour the glue/water solution into the borax/water solution and magic happens! Look! It’s stretchy, bouncy, fun FLUBBER! You’re kids will have TONS of fun playing with flubber. Just store it in a zip lock bag. If you’d like to have colored flubber, just add some food coloring to the glue/water mixture. Also, if you get flubber on your clothes, apply vinegar to help remove it. Also, when you mix the borax/water bowl with the glue/water bowl, you may find that some of the water does not get thoroughly incorporated. Don’t worry, just discard any extra water. If you’d like to see other weird science projects along with other Summer Camp Fun ideas, check out their Facebook Page and their Blog. Have some weird science fun today! I SO need to make this with my kiddos! It looks like a great rainy day activity! This looks like SO much fun! Something I’ve got to add to the to do list for when my nephews next visit. Thanks for sharing!